Negative comments online are inevitable for any organization, but how you deal with them is the key to keeping them from tarnishing your reputation. Negative comments online can quickly become a thorn in the side of any organization because it is out there for all to see, and can quickly tarnish a reputation. Whether on review sites or social media, people like to voice their opinions about products and services with the expectation to help shape the public’s perception of an organization. Your company will always have its critics, but how you handle them will mean the difference between a faceless company that hides and a humanized company that engages with its customers. Before we get into what to do about negative comments online, it’s imperative that companies remember that they should never shun away from using the online areas like social media channels or review sites like Yelp. Negative comments and reviews can only defeat you if inaction is your policy for dealing with them. Using these mediums to engage with your customers, especially angry ones, can help to heal any damage that may have been done to your brand. For some people out there, their whole reason for visiting your page is only to irritate you or make you look bad without a good reason; in the Internet vernacular, these people are known as “trolls” who enjoy going to various commenting sections and writing negative things just for the fun of it. While this may not always be the case with negative comments you receive, you can lessen the likelihood of having to deal with trolls if you can verify the person’s purchase. Verifying purchases usually require customers to set up a profile through your website when buying things online from you. Additionally, you should require customers to have an account to comment on your website so you can track who they are and if they are legitimate. If you don’t require an account to comment, at least you will be able to see who purchased and who didn’t and respond to the trolls accordingly. Most first reactions to negatives comments and reviews are typically anger and contempt towards those who would dare say such things about your company, but that anger will do you no good. Instead, look at every negative comment as a learning opportunity, even if you think they are completely wrong or off-base. If someone complains about the quality of your product, perhaps you should reexamine how your product is made. If you see complaints about your service, maybe you should start monitoring how you and your staff deal with customers more to identify any issues you might not have been aware of. Take negativity as a time of reflection on how to continually improve your brand and thank these customers for their feedback. More often than not, angry customers submit feedback regarding mistakes that your company made, whether it was sending the wrong product, wrong address, broken product, poor service, etc. Sometimes these experiences happen for customers, and as they say, you need to roll with the punches. Accept responsibility for the mistake and offer solutions that may resolve the customer’s negative outlook. If you can salvage the relationship between you and angry customers, they may be willing to follow up their negative comments with positive ones that everyone will see. This kind of situation is ideal as it turns things around and shows other customers that you care about their opinions and needs. Negative comments often start to show up when customers who have complaints feel that their issues are not being addressed fast enough and feel ignored. Being forced to sit on hold for an eternity or having your emails go unanswered for weeks can be quite frustrating, and rightly so. Having a dedicated team member who skims over your channels for feedback can be very helpful in being more expedient in your responses to customer complaints. If having a person is not in the cards, try making it part of your schedule to check periodically, so no more than a day or two go by from when the comment is posted, and you respond. Companies may think this is a case of “shoo fly, don’t bother me,” but merely trying to ignore these negative comments will only vilify your organization more than help. Ignoring comments will look like you do not care and are not engaged with your customers. Deleting these comments will only prompt more angry action from the commenters, perhaps posting even more negative comments (possibly about the fact that you deleted their last comment) and going elsewhere on the Internet to bash your organization where you may not have any power to salvage the situation. 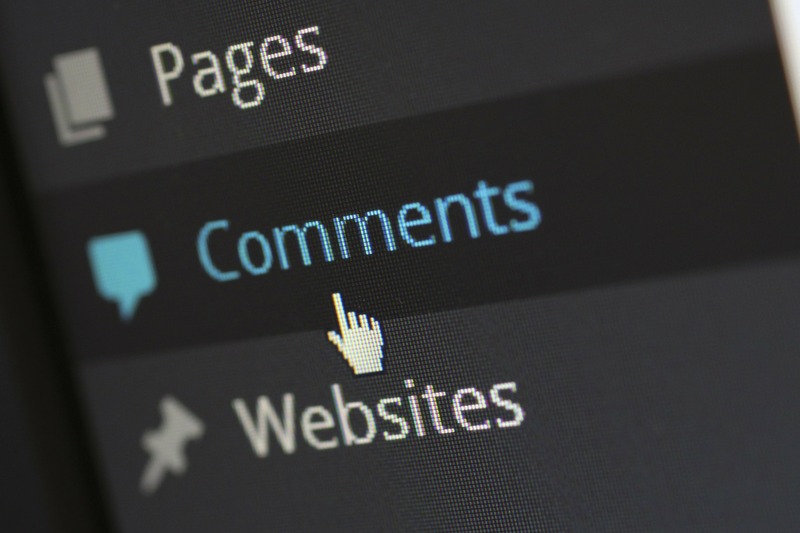 Have more questions about dealing with negative comments online? Contact us to get more information.